Along with Gionee Elife E7, Gionee also launched little brother of E7. The Gionee Elife E7 mini has 4.7-inch HD IPS display with 1280 x 720 resolution, 1.7 GHz Octa-core MediaTek MT6592 processor, 13 MP swivel camera just like Oppo N1 and is runs on Android 4.2 Jelly Bean with Amigo customized UI. 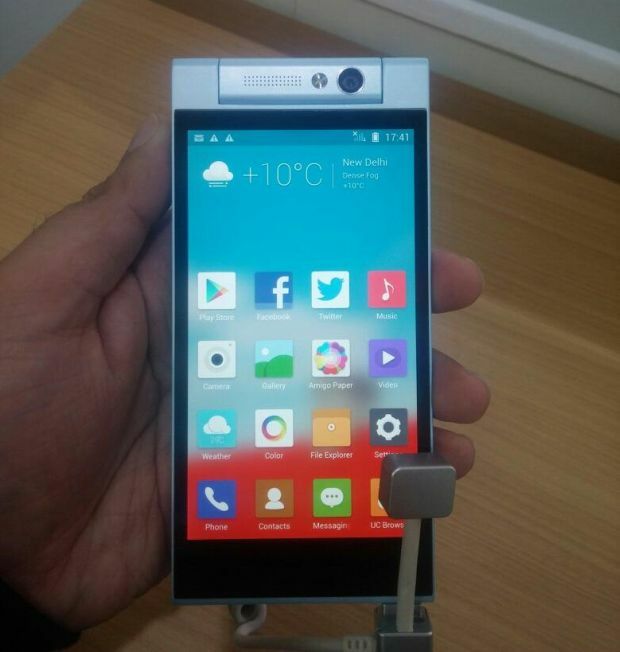 The Gionee Elife E7 mini 13 MP rotating cameras come with auto-focus, led flash and can 1080p video recording. You can use the same camera for rear pics as well as selfie. The Elife E7 is a Dual SIM phone and comes with 1 GB of RAM and 16 GB of Internal Storage. 2100 mAh built-in battery will power the device. The Gionee Elife E7 mini comes in White and Pink colors and is priced at ₹ 18,999.